Children love toys, especially remote controlled ones. 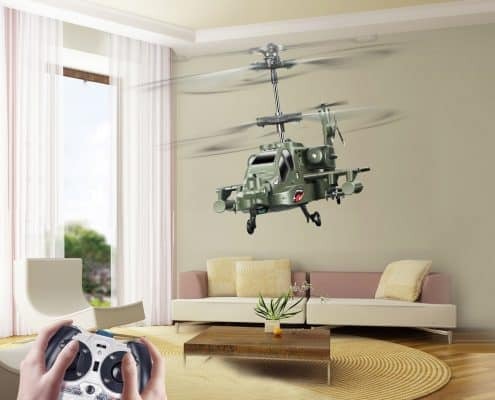 However, remote control helicopters offer added fun by being able to fly around, making them a popular gift for kids. Your child might have gestured severally towards a helicopter during your trips to the local store, and you might have doubts as to whether you should buy one for them or not because probably have envisioned helicopter crashes that send dangerous pieces to the ground that might harm your precious young one. 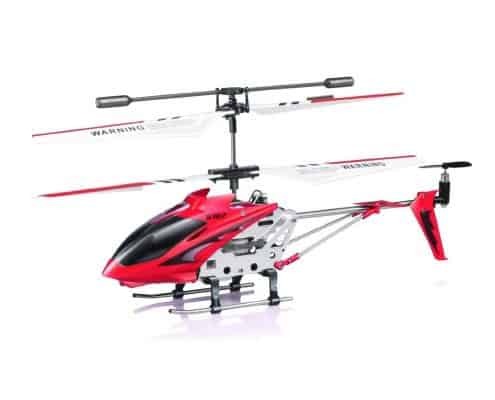 While your hesitations regarding RC helicopters are not unfounded, there are many benefits to giving your kid a first flying machine, and not need to worry about flying pieces with these newest of models.. They are not only informative as they introduce your child to the science of flight but also offer an opportunity for providing indoor fun if the weather will not allow them to play outdoors. Also, it can strengthen the bond between you and your child as both of you learn to fly. 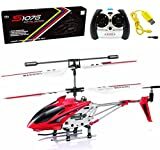 So what are the best RC Helipcopters For Kids this 2019 you ask? 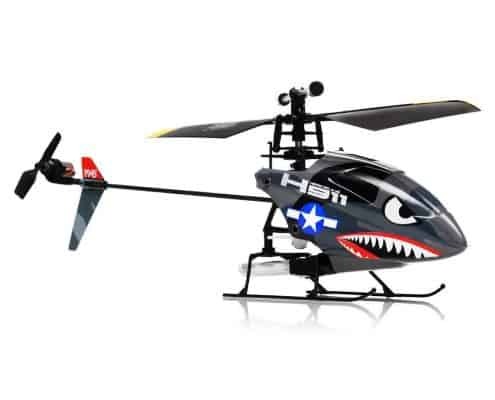 The question that might be ringing in your mind now is; which is best RC helicopter for kids? 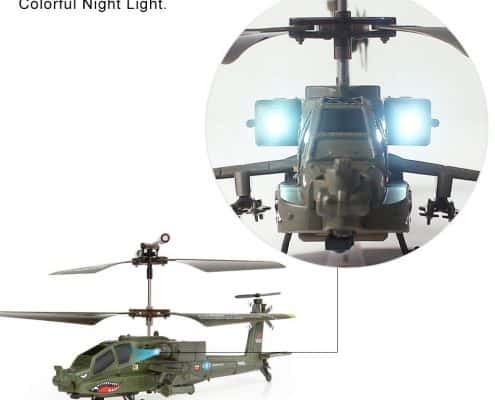 We know how challenging this task might be and that’s why we have prepared a guide for you and reviewed the best RC helicopter for kids. RC helicopters use radio signals from their controller and translate them into different movements. As most users already know, one transmission channel executes one type of action, which is why sophisticated RC helicopters come with more channels. Of course, for beginners, model helicopters with fewer channels is better for them. The most basic RC helicopters have two channels; one controls the speed while the other controls the turning. These helicopters have limited movement since they can only fly forward. However, they are easier to control. 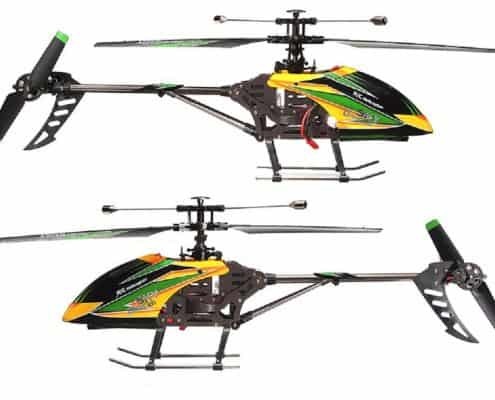 A three-channel RC helicopter has reverse and forward movements. Those with more than three RC helicopters have a variety of movements facilitated by the addition of collective pitch. Users can make sophisticated moves such as climbing, looping, rolling, or even flying up-side-down. For users who want to devote their resources and time to flying, then you need to ensure that spare parts are available. RC helicopters call for care and maintenance. Flying a helicopter can bring a lot of wear and tear, which means you need to replace worn out parts regularly to keep their models flying. The batteries, main shaft, swash plate, landing skids, and canopy are the parts that call for replacement quite often, especially in the beginning when the likelihood of crashing is high. Most spares parts available are compatible, but for most advanced models, users may have to buy them from the model’s manufacturer. For people who would like to upgrade their helicopters so as to make them fly higher and faster, you need to consider that as well. 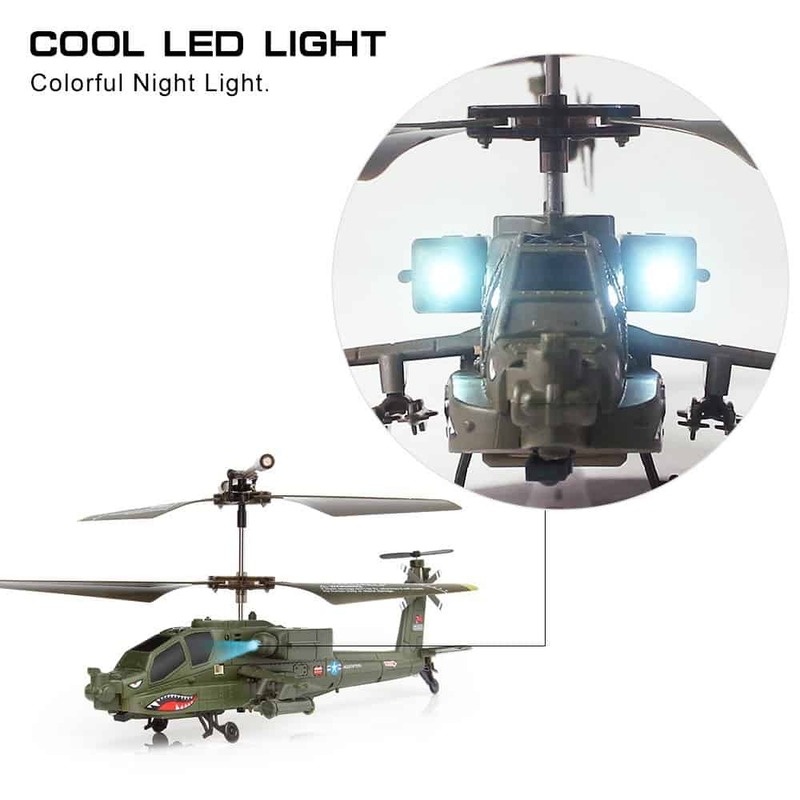 Most radio-controlled helicopters are powered by electric batteries and glow fuel, although others use turbine and gasoline engines; glow fuel helicopters are the most common; they offer 7-10 minutes of flight time, depending on the engine type. There is no height limit for these helicopters. 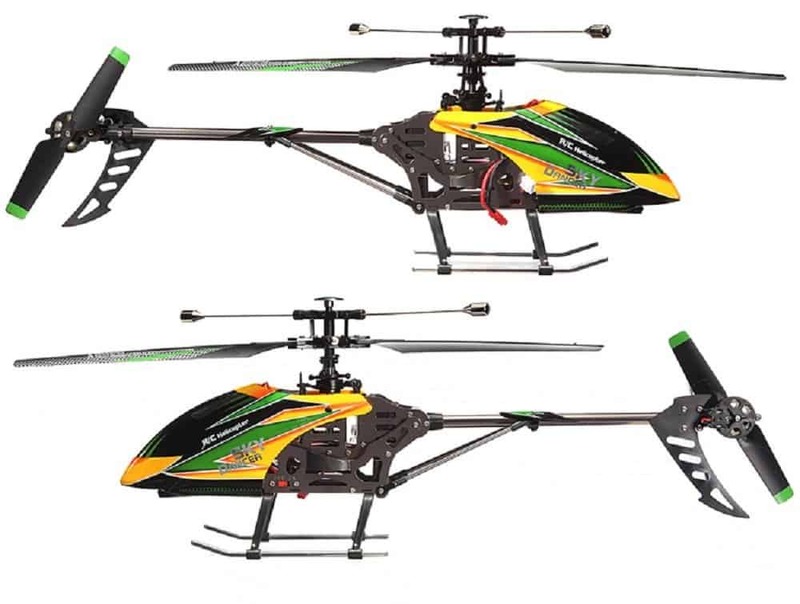 Battery-powered RC helicopters are more convenient and safer to use. In the past, a battery-powered engine could not match the power of glow-fuel engines, but with advancement in technology, they can now offer 4-12 minutes of flight time. For engines with electric batteries, they are cheaper and do not create a lot of noise as compared to their fuel-powered motors counterparts. For people living in residential areas, this is an attractive quality to look into. 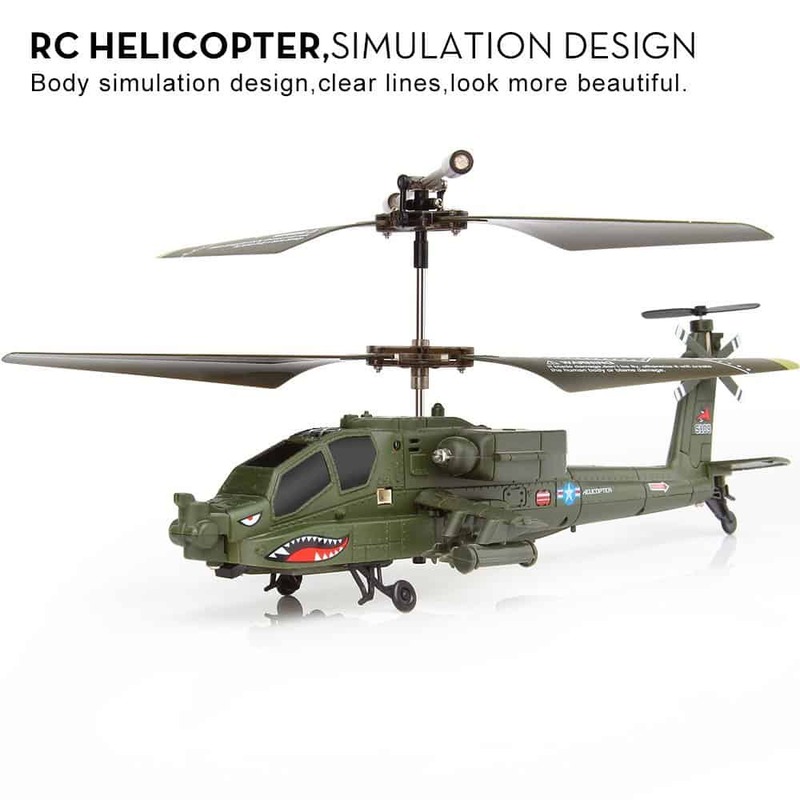 RC helicopters come in a variety of materials and designs. Aluminum, plastic, carbon fiber, and glass-reinforced plastic are common materials. The blades are made using lightweight materials such as wood or fiberglass. Some helicopters come fully assembled, while some come with complete kits for people who prefer to build their own. Helicopters need to be lightweight enough to fly higher and use power efficiently, and also steady enough to withstand wind and crashes. Beginners need to fly durable models such as those with hard plastic polymers. 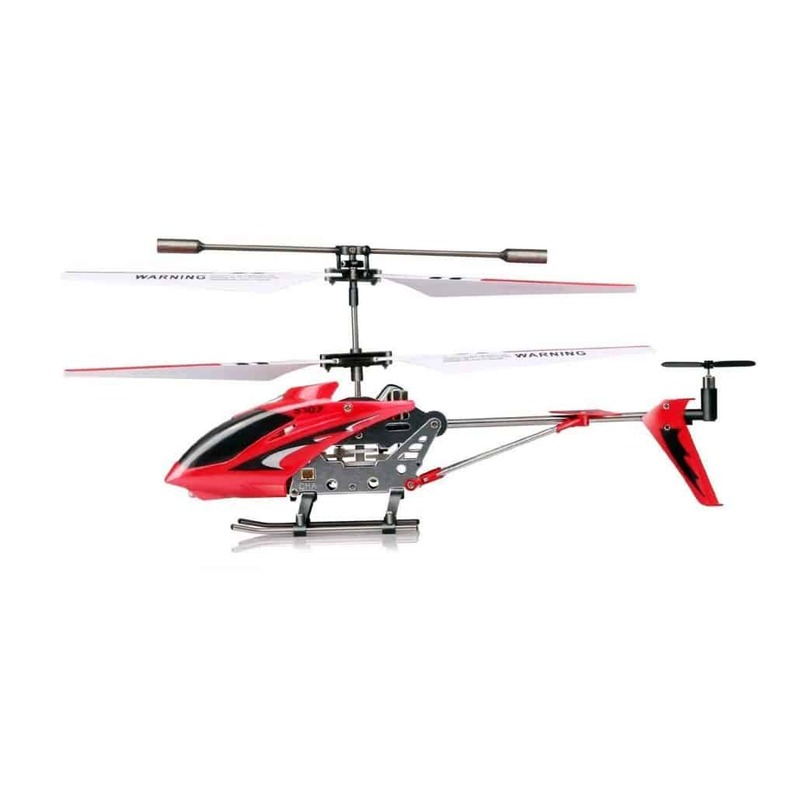 Small RC helicopter comes with battery-powered engine making them affordable and convenient. They also do not emit fumes and therefore ideal for indoor flights. Electric RC helicopters can fly up to 12 minutes. Larger helicopters have bigger engines that can last up to 15 minutes. They run on glow or nitro fuel. Larger models require turbine and petrol fuel. 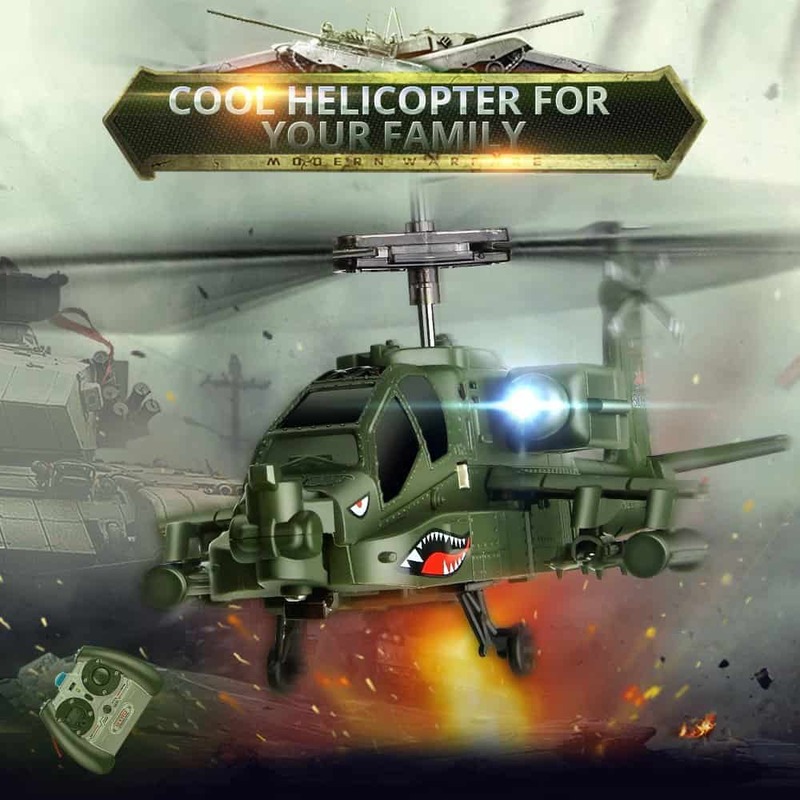 Some helicopters come with additional inbuilt accessories which enhance flying experience and also increases their controlling skills. Some photojournalists may want to take aerial images without having to rent an actual helicopter. An RC helicopter with a camera mounting unit is perfect for this use. There are also some with wireless cameras; best for surveillance and aerial photography. 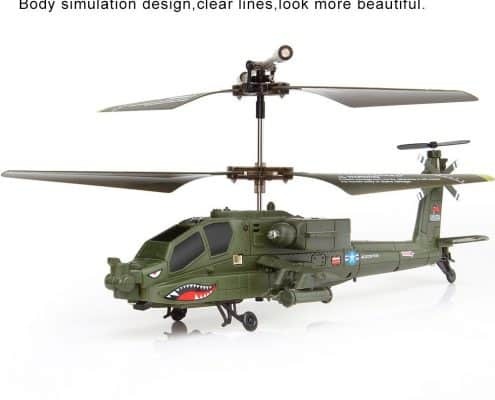 This is the most important thing to consider when buying a model helicopter for your kid. 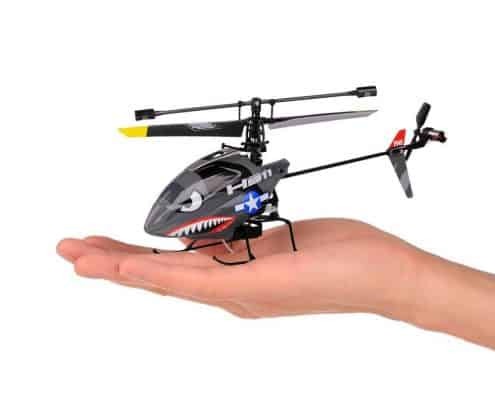 If he/she has no knowledge about remote control toys, look for an RC helicopter that is simple to use; one that has no many advanced features. As their interest grows and becomes more knowledgeable, you can start considering buying more advanced models for them. If he/she is an older child, is he interested in flying a helicopter? If they are more interested in learning more about the machine features and its engine, an entry-level hobby aircraft might suit them. 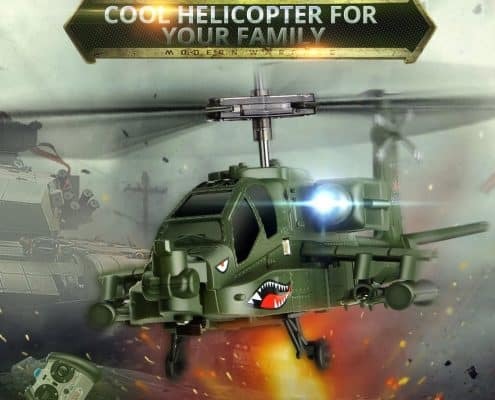 Hobby-grade helicopters have more replacement parts that your kid might find useful if they are interested in building a helicopter; they are also customizable. Think about where your child will fly the RC helicopter. Do you intend to use it indoors most of the times or outdoors, or a little both? Your flying area determines the model weight and size. In general, you might want a helicopter that is heavier and one with an ability to withstand wind in an outdoor environment. Also, if you intend to use your helicopter in an outdoor environment, avoid an infrared-controlled model because of the likelihood of its signal being interfered with the sun and its limited range. Will your child be flying his RC helicopter in your backyard or competing with other models in a park? 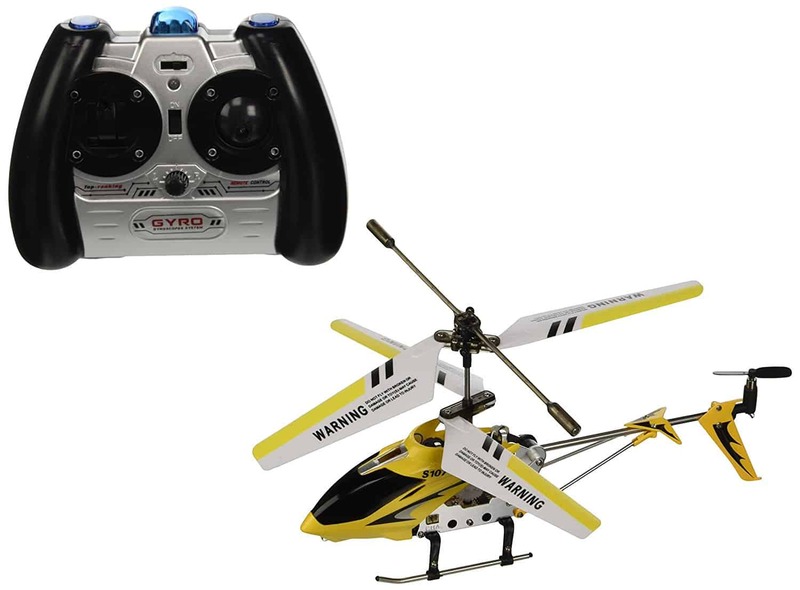 If your kid will be competing flying his helicopter with other kids, buy them a model with a radio remote control that has at least 2.4 GHz. This signal is unlikely to get interrupted by frequencies and obstacles from other helicopters. This is the prime factor to consider when buying a model helicopter. Does he prefer quad-copter with a modern look or a co-axial helicopter with a traditional look? Involve your kid in the buying process to ensure they get a model that will motivate them to fly it more. 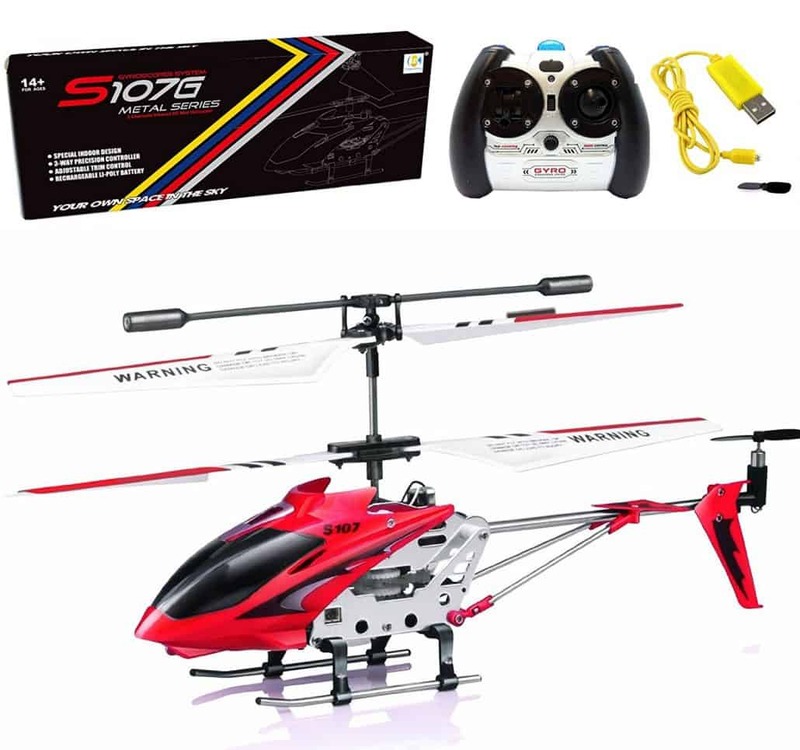 The Syma S107/S107G is one of the most affordable RC helicopters on the market. It is small in size such that you can grasp it in the palm of your hand. However, let this not fool you that this machine is not stable in the air. It has a metallic frame with quality plastic components on the front part that makes it highly durable. This enables it to sustain damages during crashes. 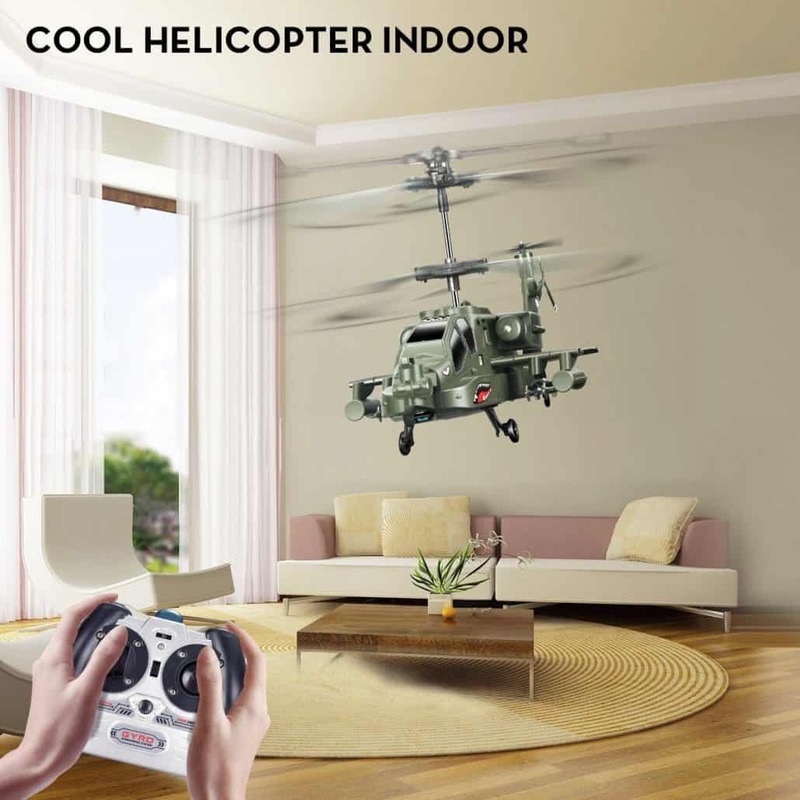 You should keep in mind that it is not an ideal RC helicopter for outdoor flights; even its manufacturer recommends users to wing it indoors. Syma S107/S107G is quite easier to use thanks to its simple controls. It can go up, down, right and left. Equipped with high-end gyroscope technology that enables it to remain stable during flights, this machine is easier to operate, and even kids without prior knowledge of using RC helicopters can fly the machine indoors without crashing it. 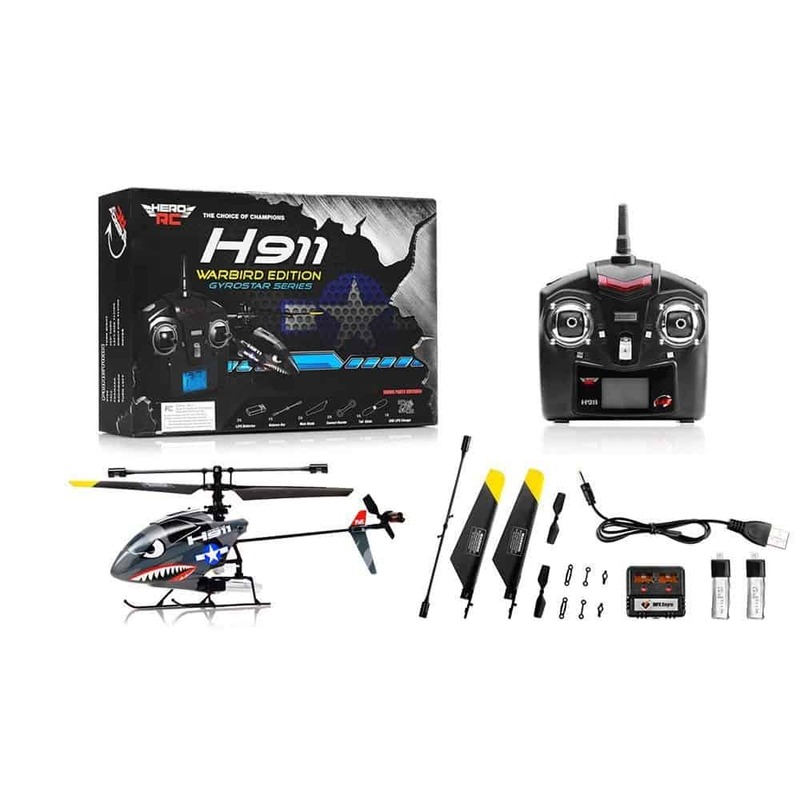 According to the packaging, this RC helicopter is an alloy infrared control machine with 3.5 conduit gyro system, but as a beginner, all you need to know is that it is easy to fly and will give you tremendous fun. Anything else is surplus. 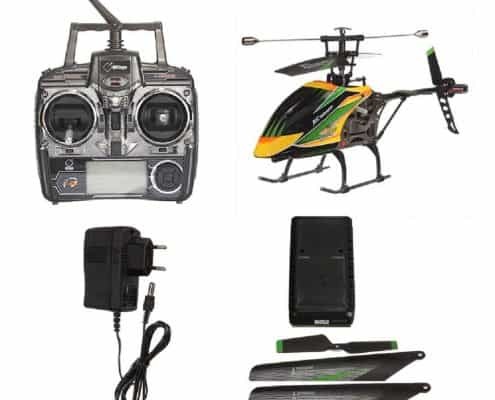 In the packaging, you will find a model helicopter, a USB charging cable, a remote control unit, and few spare blades for replacement in case of an accident. The remote control unit is designed to be operated with both hands. 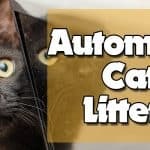 The directional control lies under the right thumb while the throttle is under the left thumb- these are used for forward and backward movements and also rotating right and left. Syma S107/S107G is powered by six AA batteries power that can be recharged using a supplied USB cable. Recharging the batteries takes around 40 minutes. With a metal construction and plastic nose-cone, this helicopter can survive several horrific crashes making it an ideal machine for kids. Spare rotor blades are also included in the packaging in case the fitted ones become obsolete after a massive clash. Flying the helicopter is quite easy as long as you have some level of hand-eye coordination and sensitivity. With a little throttle, this machine will take off and hover. However, it is quite challenging to master forward and backward motions, but as long as you will have enough indoor space you can do so easily. This indoor toy is light and a little wind will overpower it causing it to change directions. 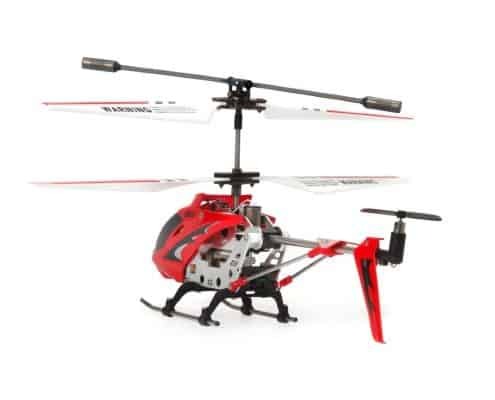 Overall, it is a great RC helicopters for kids who enjoy staying indoors. It offers around five minutes of flying time before a recharge is needed. Syma has made a reputation of creating quality and easy-to-use RC helicopters, and the best thing, they offer them at affordable prices. 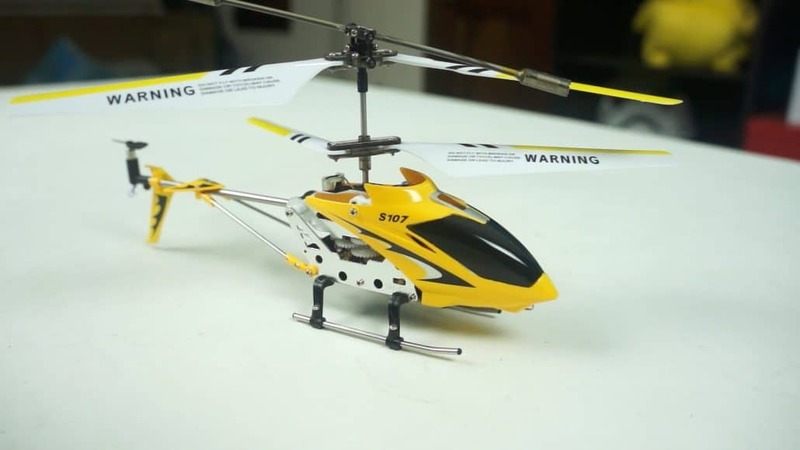 The Syma s109g is one of the best RC helicopters under 50 bucks. For beginners or kids, the flying experience this machine will offer is enormous. One outstanding thing about this indoor helicopter is that is has lighting on its side allowing it to be used even when it’s dark. 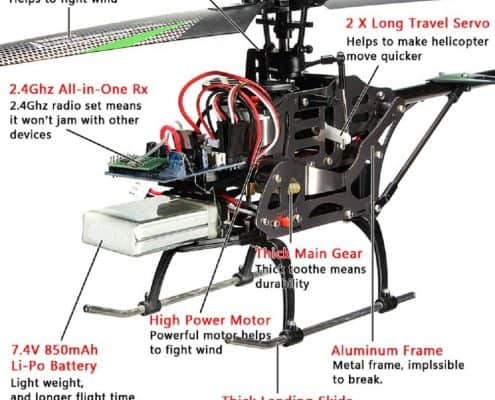 The Gyro on this RC helicopter makes flying it easy by ensuring stability in the air. 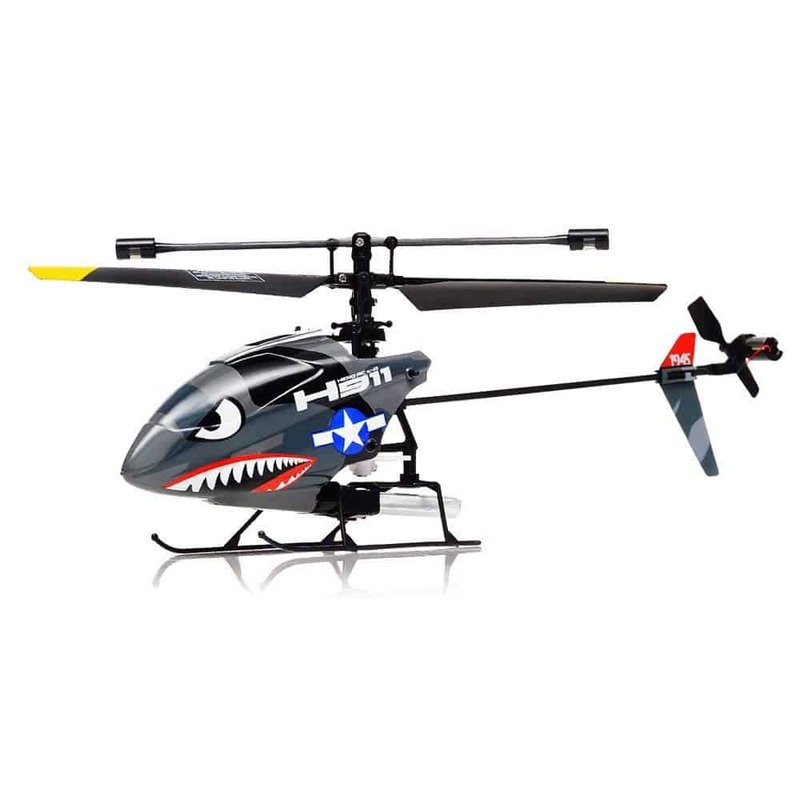 Its movements are steady and easy making it an ideal helicopter for kids aged eight years and above. Smaller kids will need guidance and practice. 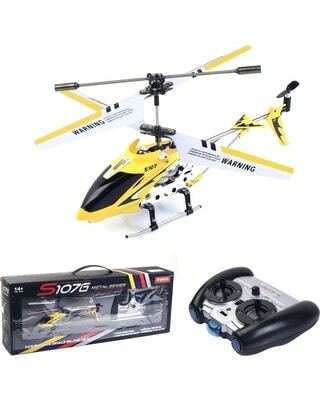 If you are looking for something that will give you an amazing flying experience, then this RC helicopter is definitely the best bet. The Syma s109g charges using a supplied USB cord. Its remote control uses 6 AA batteries. It comes with a few replacement blades in case the fitted ones break during a heavy clash. The helicopter is designed to be used indoor unless the outdoor environment is very cool. 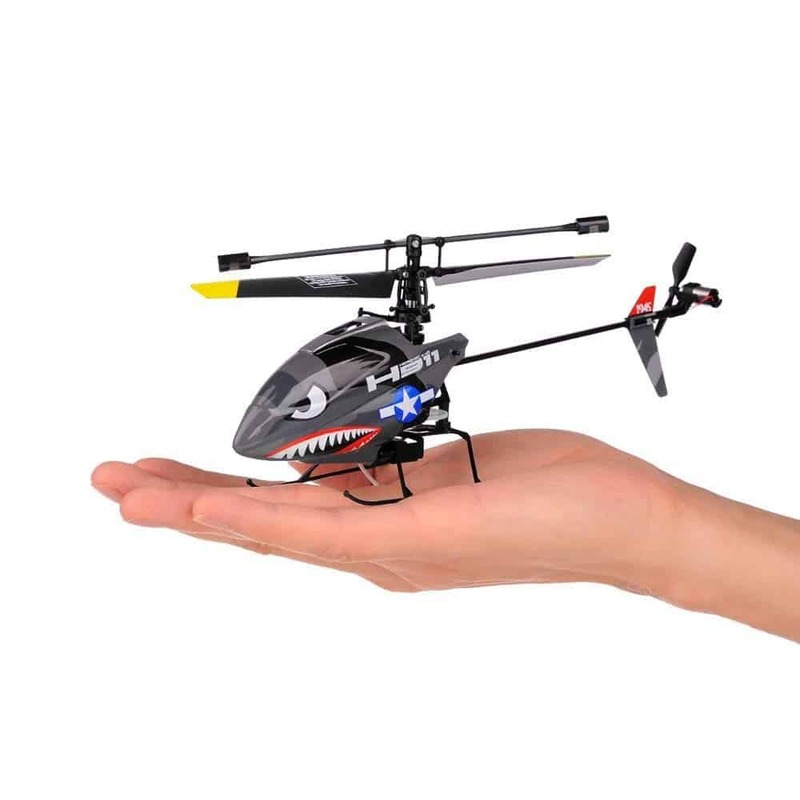 Its small size and being lightweight makes it an ideal helicopter for indoor usage. 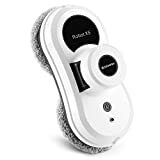 Its controller comes with a charge power indicator, alignment trim, and right and left trimmer. The controls are easy to use and sensitive to allow you control this helicopter effectively. 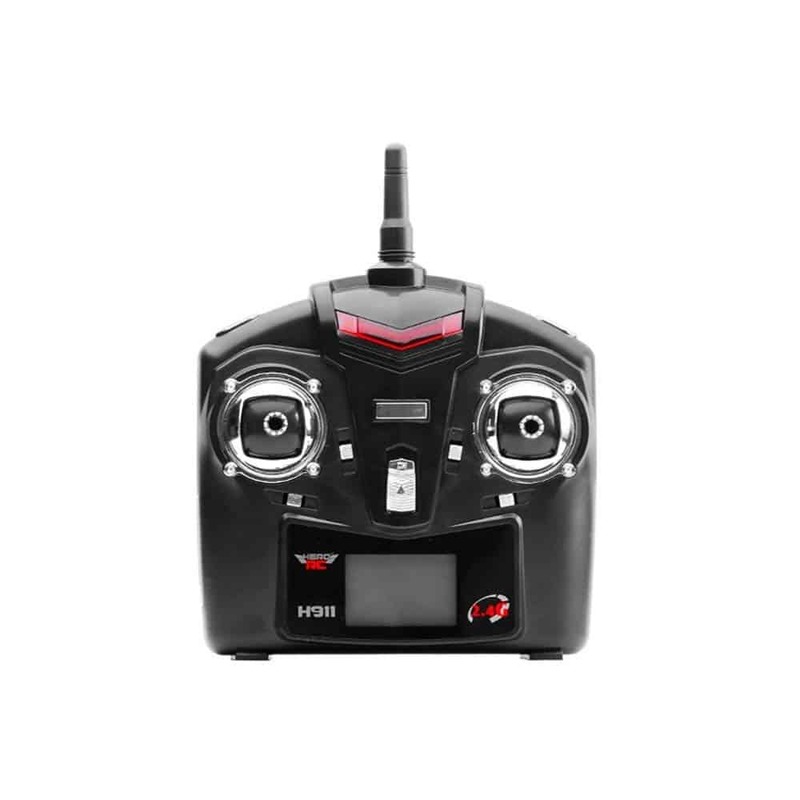 You can choose from two frequencies and therefore can fly two Syma s109g simultaneously. With 3.5 channel controls, you are able to maneuver it up, down, right, left, forward, and backward. Besides, this model is very stable than most machines in its price range. This makes it a perfect gift for kids and newbies in RC hobby. Being an IR-controlled helicopter means it is also perfect for indoors flying experience. Syma s109g RC helicopter has a range of close to eight meters and gives you eight minutes of flight time. 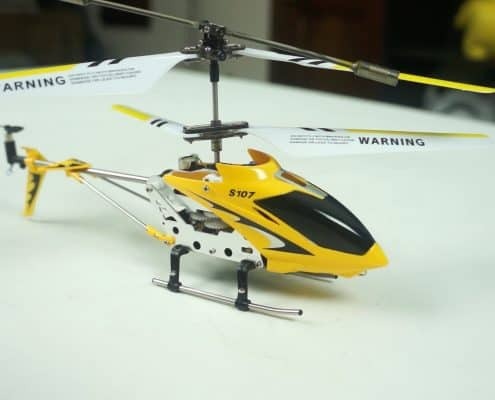 That is eight minutes of easy to handle, fun filled, and stable RC helicopter flying time. We wouldn’t consider a top 7 list of best RC helicopters complete without reviewing this model. 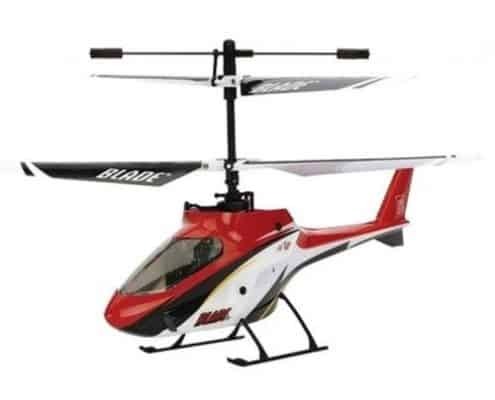 The Blade E-flite Mcx2 RTF mixes the stability of coaxial helicopters with agility and control. It comes fully assembled and ready-to-fly. One of the reasons this machine performs exemplary well is its user-controlled settings and precision swash plate. Besides, its fully proportional servos and sleek body design give it a better balance during flights. With Blade E-flite Mcx2 RTF, you will get incredible speed and agility during flights, as long as you are not flying against wind. 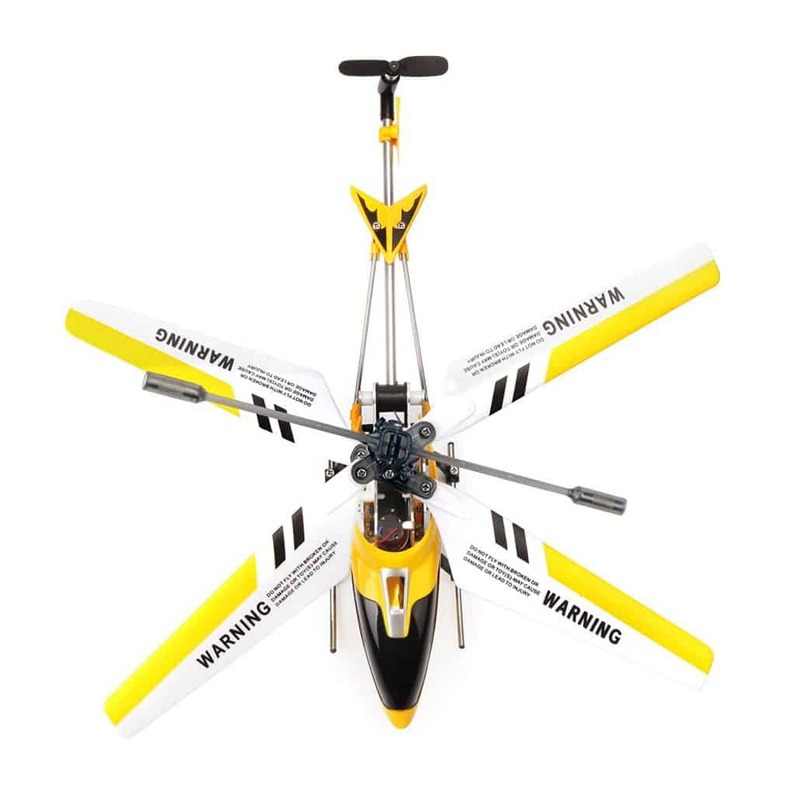 This is a lightweight machine that works best in calm outdoor conditions or indoors once you are skilled enough and gained control skills to fly at high speeds in tight spaces. Although it is not a model you would do fancy tricks with, Blade E-flite Mcx2 RTF is excellent for everything else. 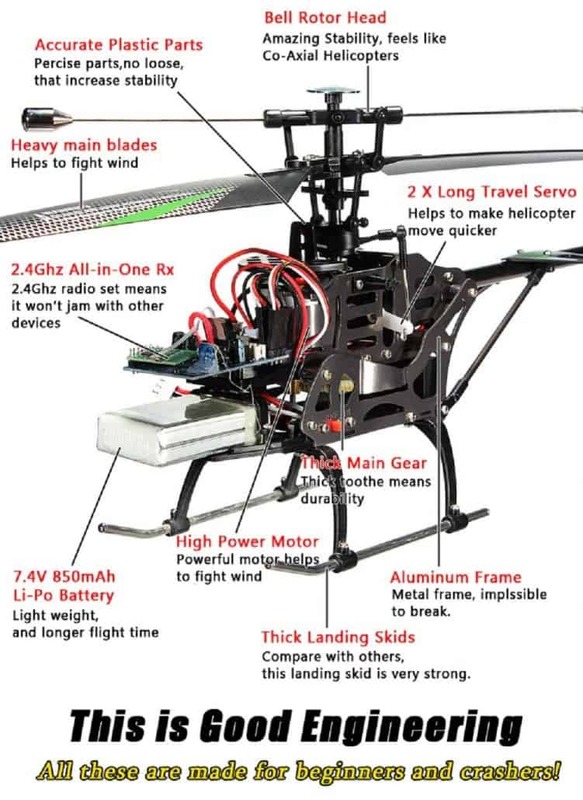 Advanced fliers would understand much if we used technical terms to describe the advantages of the Blade E-flite Mcx2 RTF, but for those who are new in this field, the question that is probably ringing in your mind is; can I fly this model helicopter without skills or previous experience? The answer is yes. However, if you are a slow learner, we would recommend you go with Syma for some time before flying the mCX2 RTF as it is easier to use. You can also fly this model at low speeds for a while gradually lifting off before flying at fast speeds. However, don’t be scared of crashing it into a wall; this is a durable machine and can take some abuse- but it wouldn’t hurt having spare parts with you in case some parts become obsolete. You can also buy extra batteries to increase your flight time. The amount of thrashing this machine can take is unbelievable, thanks to its solid, compact construction. However, extra care should be taken to avoid thrashing it on hard surfaces such as trees and walls as well as giving it a hard landing. Whether you are a kid, newbie, or a pro, Blade E-flite Mcx2 RTF will certainly add up to more fun, both in the outdoor and indoor environment. With the attractiveness of coaxial helicopters, you have one more reason to buy Blade E-flite Mcx2 RTF. It offers stable flights and is very easy to fly. 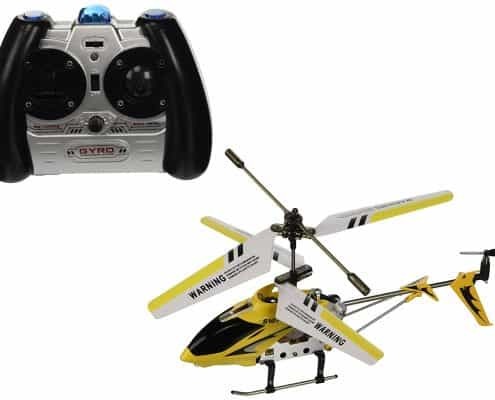 A compact design, LED flying lights, adjustable swash plate and sleek fuselage are some of the great features that make mCX2 RTF one of the best RC helicopters for kids and teens. Need a model that can serve for indoor and outdoor use? 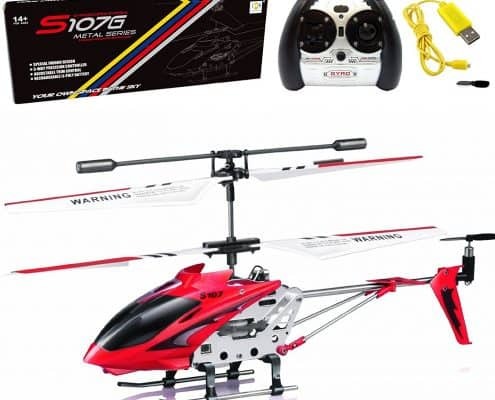 This is the RC helicopter that you may be looking for as it boasts amazing features that make it one of the best RC helicopters available in the market today. The product is lightweight and compact thanks to the material used to make it. 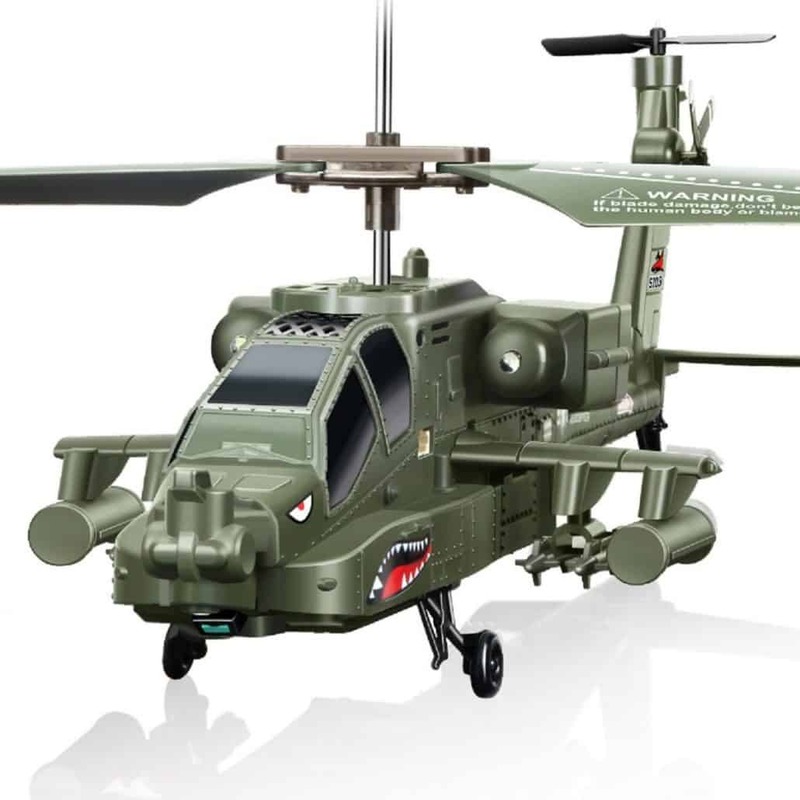 It offers a true radio control helicopter performance that will surprise even those techno-crazy kids. It stands out among its competitors with the easy interface that ensures that even novice pilots, who are prone to crashes, find no problem operating it. While finding an RC helicopter that offers ease of flight and handles well is a daunting thing to do, you will find the Hero iRocket helicopter a perfect fit for your needs. 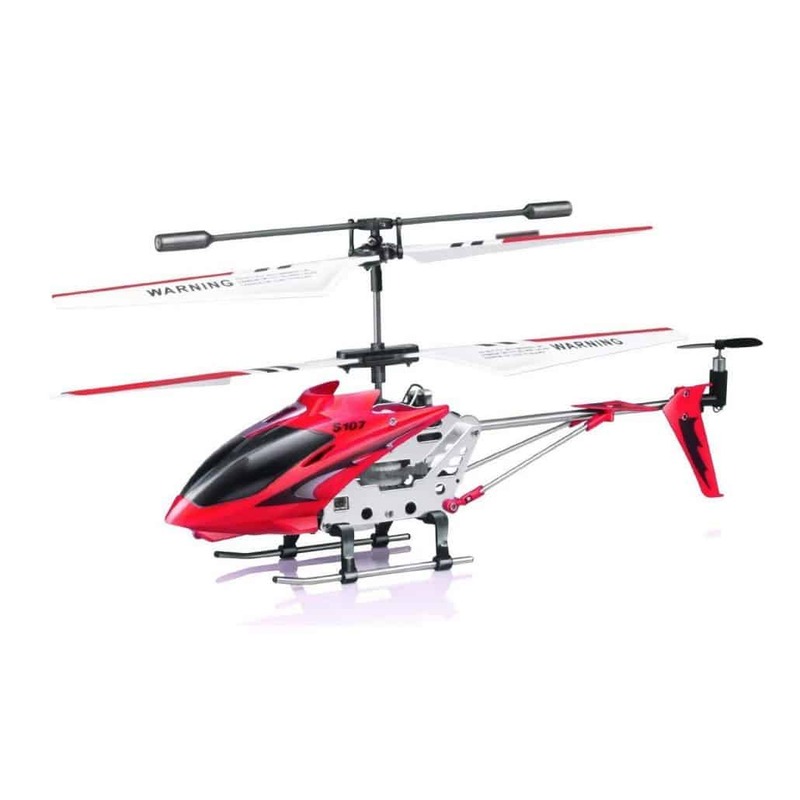 The RC helicopter uses a single tilting rotor which ensures great control over the gadget and also offers remarkable maneuverability. It’s because of this feature that you will find it easy to change the course of the flight without causing a crash or smashing into the ground. 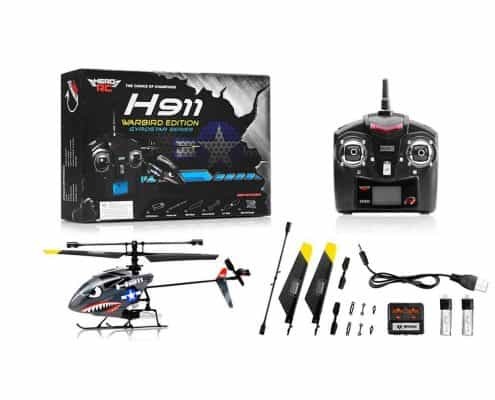 There are very few RC helicopters that can match the stability offered by the Hero RC H911 as it uses a crossbar which is even more reliable than an electronic gyroscope. However, you may not be able to perform flicks and trick flying as the crossbar doesn’t allow such to happen. You can double the helicopter’s flying speed, thanks to its second mode that will also allow you to do some pretty cool leaps during the flight. The helicopter is also built to last as the materials used in its construction are super light which ensures that upon crashing on a hard surface, the helicopter bounces back. Additionally, its rotor blade will automatically detach upon impact, and you can easily mount it back on to continue with your flight. 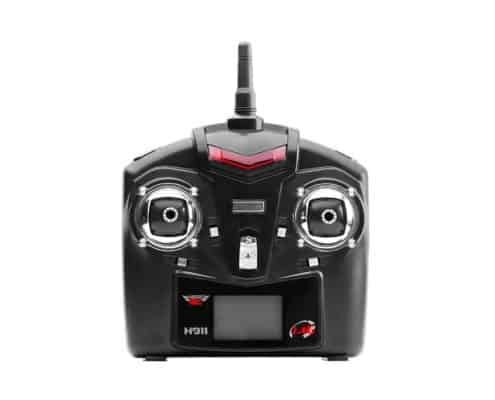 What’s more, the Hero RC H911 boasts a 2.4 GHz transmitter as well as an LCD screen which ensures that the pilot has a visual aspect of the trim settings for a smooth flight. It also contains a plug which allows easy charging of batteries when there are no USB ports at your disposal. 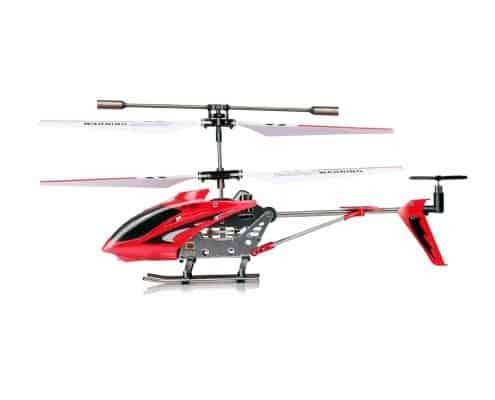 With these fantastic features, the RC helicopter looks like a great pick not only for kids but also for adults. In spite of all the technicalities, this helicopter ensures that the fun quotient isn’t taken away. Have you mastered how to control an electric RC helicopter and want to try it outdoors? This is the ideal model for you. This one is relatively big weighing 300 g with heavier blades and longer flybar which means that it can fly even when it’s a bit windy. As a result, if you buy it for your kid, it’s important that you teach them not to fly it too high as it may be pretty hard to control. The flying vehicle is more than 20 inches long which means that it can damage household items if you fly it inside the house. 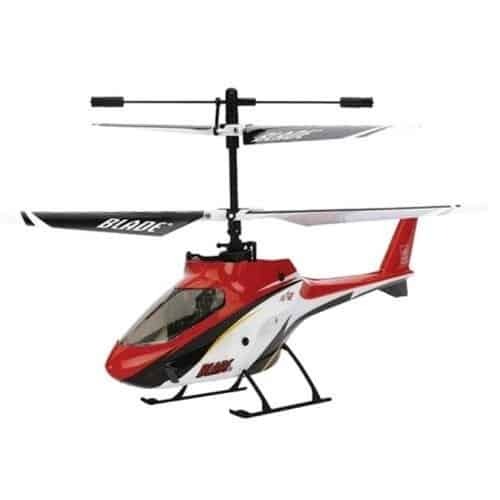 The RC helicopter is one of the best RC helicopters on the market having a classic design that comprises a single blade comprising of a rearmost anti-toque tail rotor. 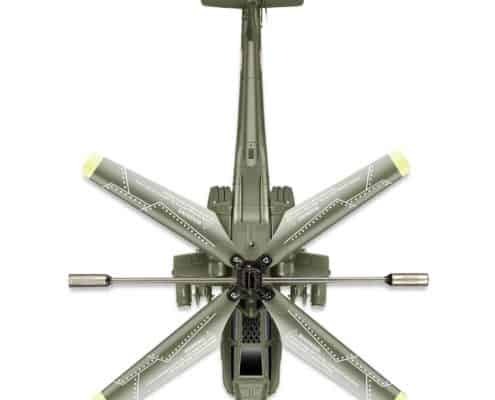 While bell rotor head helicopters are common features in the market, WLtoys has found ways to refine them by improving them to increase agility. The helicopter features tail spur gears to enhance better rudder control and long flybar for better stability. 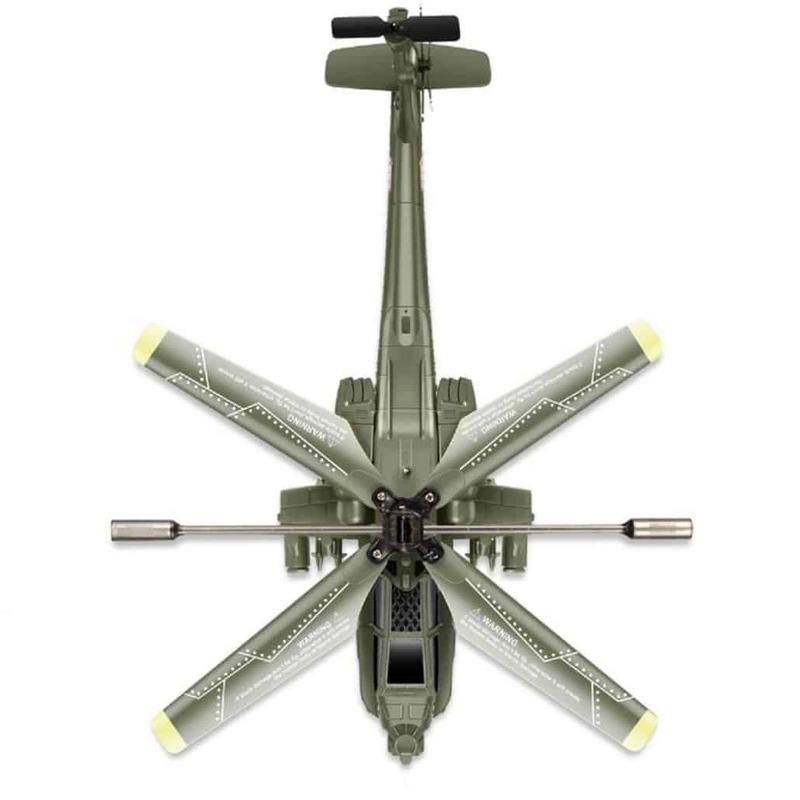 It also features a mechanical gyro which is used to balance the helicopter. The model is agile, and a skillful pilot will find it interesting as it can perform all kinds of stunts if need be. The frame is aluminum made, and the outer parts are plastic made. 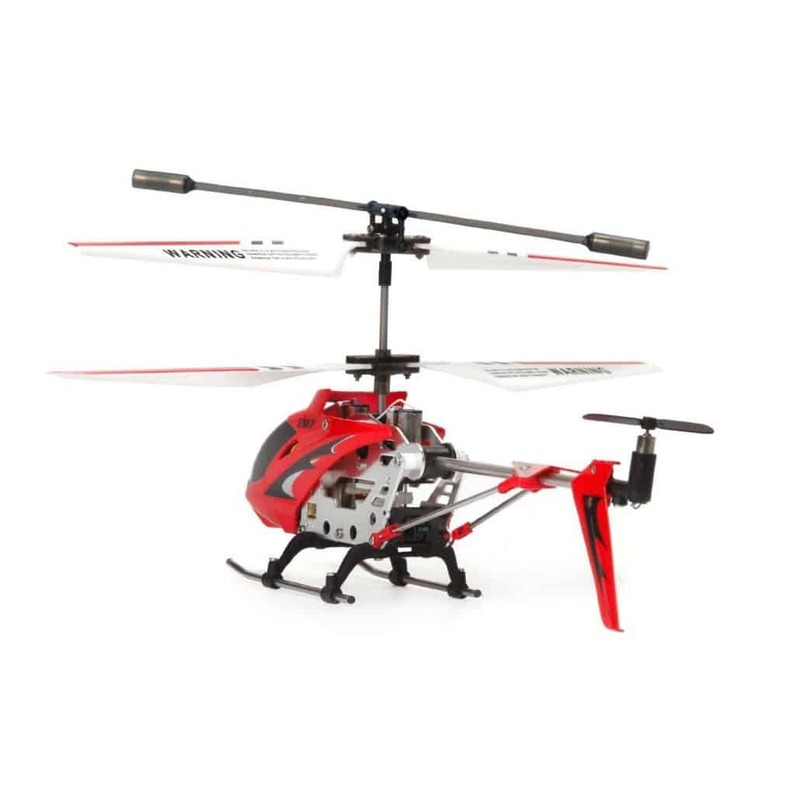 The helicopter features an LI-polymer battery which can last up to 8 minutes of flying. Afterwards, you need about an hour of recharge where a wall charger is offered. The model is powered by rechargeable 7.4V 850mAh battery that can fly for about 8 minutes and has about 100 meters controlling distance. With sufficient power supply, the helicopter is really fun to fly. For experienced pilots, they can perform various actions and movements such as falling, rising, flying forward and backward, turning right and left and much more including hovering. 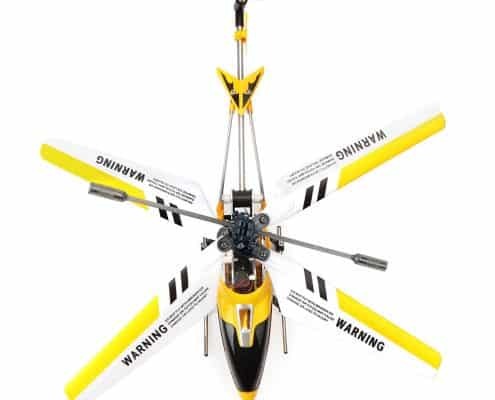 This electric control helicopter is easy to maneuver and its remote uses radio waves to allow the models control for up to 100 meters. The remote works on a 2.4GHz frequency and has 4 channels that you can use to ensure maximum control. Worried about other similar remotes in the vicinity? Don’t worry as the remote will remember its specific heli, and hence the others won’t interfere with yours. 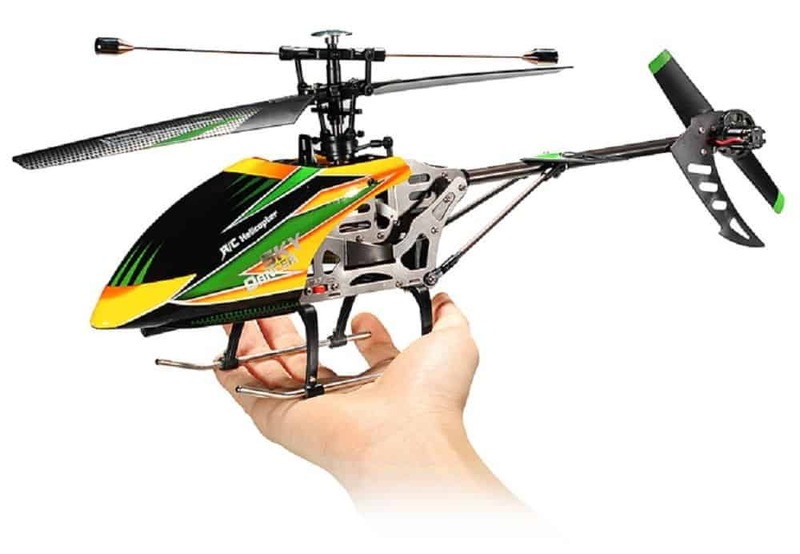 This is definitely one of the best RC helicopters around and features an LCD screen for easy control during the flight. The cheerwing S107/107G makes it to the list of the best RC helicopters in the market today for its amazing features and a classy look. It’s very easy to fly for anyone but still considered a big boy helicopter. 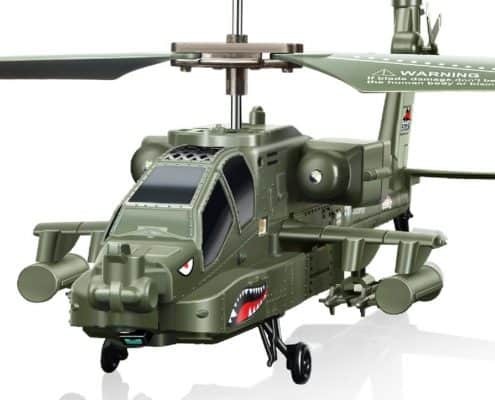 It depicts an appearance of a military grade helicopter and is a cool chopper for your kid. It fits easily on the palms of the hand and is an excellent pick for outdoor usage. It features a variety of colors such as red, yellow and blue but you may not land the color of your choice as the model is so popular. 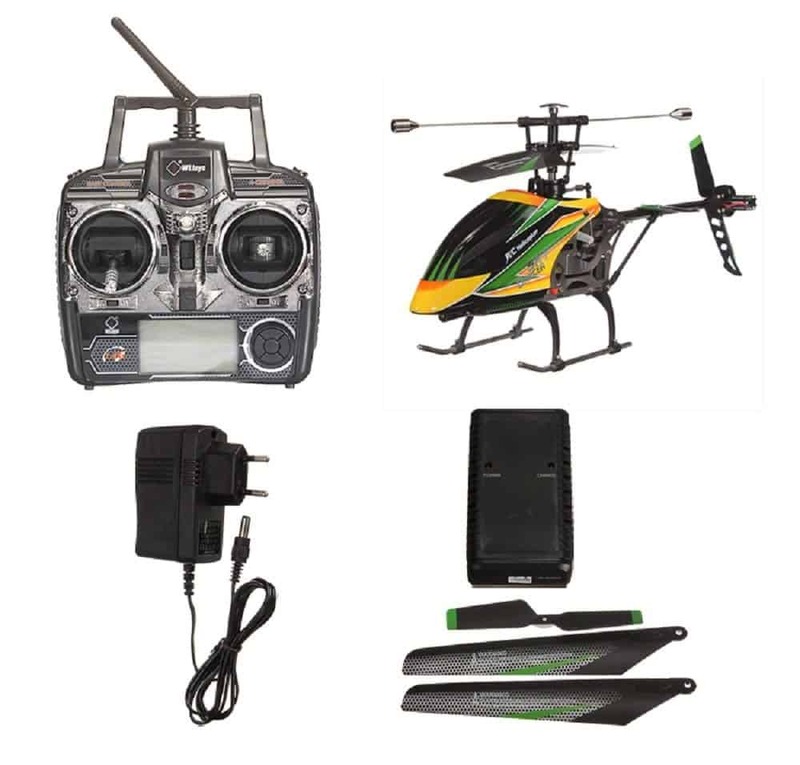 The helicopter comes with an infrared remote control with three primary parts; a central knob and two control sticks. The leftmost control stick helps accelerate the propeller sending you upwards or downwards. The right control stick allows you to lean back or forward or turn left and right. The central knob is used to cancel out any subtle once twisted. It’s important to note that one should fly indoors only as even the slightest gust of wind will send it spinning out of control. The build construction of the helicopter is sturdy as the inner construction of the model is metallic though the blades and body are plastic. Surprising high quality built with an inner metal built. Replacement parts are readily available and inexpensive. There are many RC helicopters in the marketplace, and it can sometimes be difficult figuring out the best one for your kid. 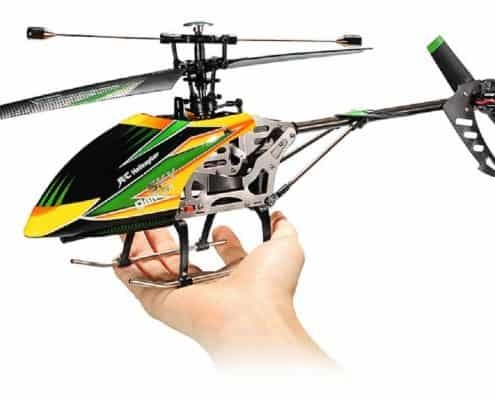 In this article, we reviewed top 6 best RC helicopters for kids and beginners. 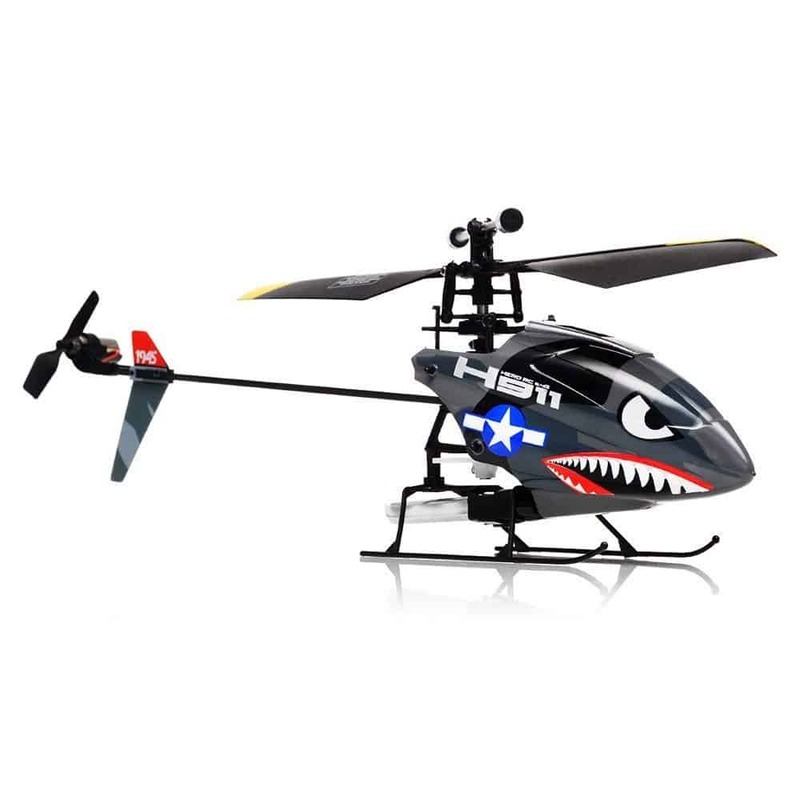 Selecting a suitable RC helicopter for your kid will come down to maneuverability, size dimensions, extra features, engine size, preference for outdoor or indoor usage, previous experience, construction, and many other factors. Most of the helicopters we have listed here are for kids, but you will find one or two that can be used by adults as well. Some are more affordable while others call for quite an investment. It is, therefore, important to take everything into consideration when selecting a remote-controlled helicopter. 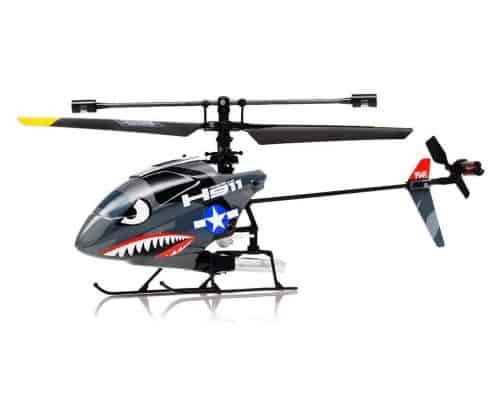 However, the ones we have reviewed are undoubtedly some of the best RC helicopters for kids and beginners.